DD marine plywood is the top of the range plywood. Mainly used for marine purposes, marine plywood is known to be the strongest and most durable plywood. None of the marine species are naturally durable and preservative treatment is required in marine plywood used in many marine environments such as boat hulls, pontoons and marina applications.All cut edges should therefore be re-treated in situ. As most preservatives affect resorcinol bonding, advice should be sought from adhesive and preservative manufacturers if gluing of preservative treated plywood is intended. 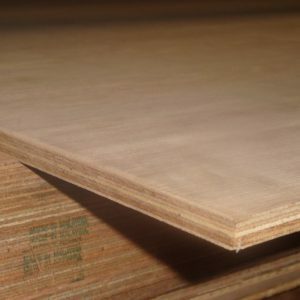 Marine plywood should be used in hulls of boats and where specified in other marine applications in aircraft construction.